It’s high summer here in Seattle, which means it’s cobbler weather. Fortunately, we’re going to make the kind of cobbler that does not require the use of an oven. It’s hot, well hot for us :), and it seemed like a good day to make something with lots of ice. We also have lots of lovely fresh fruit in season. What to do? We leafed through various cocktail recipe books and eventually came across the cobbler, a rather simple drink dating back to at least the 1830’s. 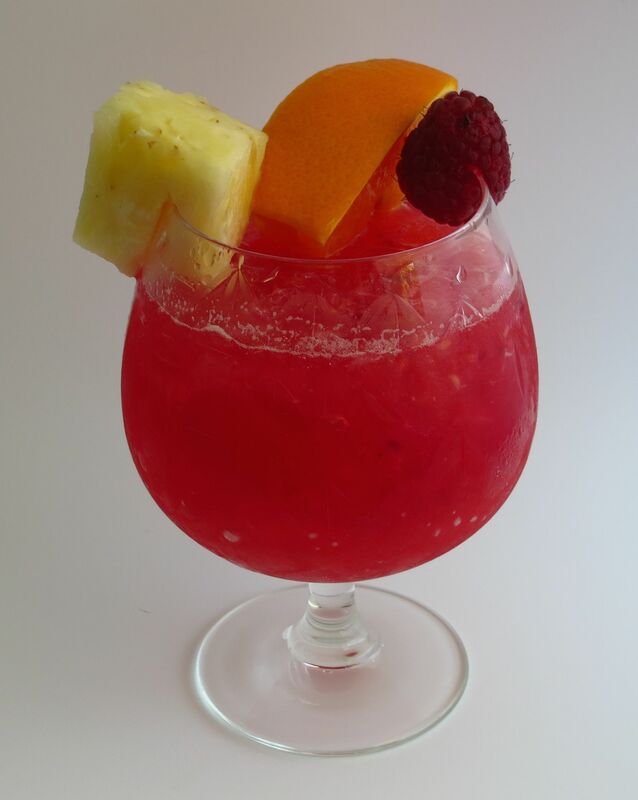 It consists of a base spirit, a sweetener, fresh fruit and ice. That sounded like a perfect summer time drink for the Pacific Northwest. So we decided to try a couple or three and see if our hunch proved correct. First up, we gave the classic brandy cobbler a whirl. Pineapple isn’t exactly in season here ever 😉 but it sounded refreshing so we went with it. 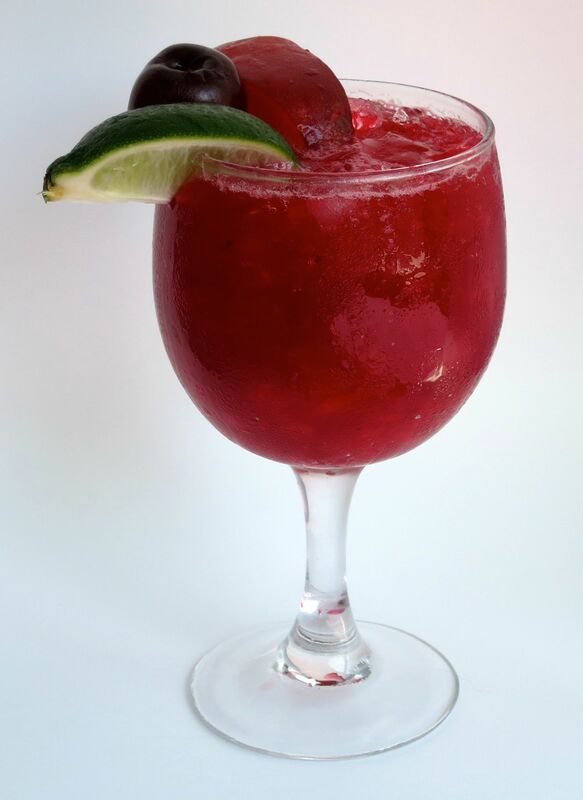 We also brightened it up a little by using fresh raspberries rather than raspberry liqueur or syrup. The original calls for 1 oz water to be mixed with the muddled fruit, but we skipped that. We feel given the amount of ice in this drink, that it would water it down more than necessary. Muddle all the fruit with the simple syrup. Add the brandy. Shake with ice. Strain into a wine goblet filled with crushed ice. 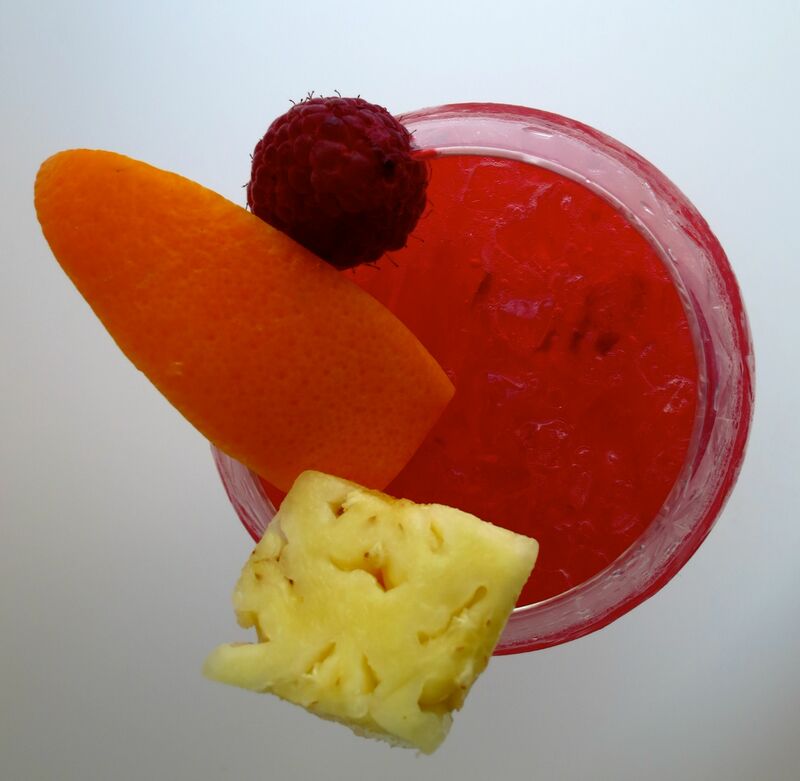 Garnish with an orange wedge, a pineapple wedge and a fresh raspberry. Serve with a straw. Enjoy! Nose: Smells really good – lemon, orange, pineapple, raspberry. Faint grape spirit and barrel notes. Palate: Raspberry, pineapple and orange to start with a little bit of brandy. Then really strong bright orange and lemon on the start of the mid-palate and sweet pineapple at the end of the mid-palate. Lemon and sweet raspberry to finish. Little bit of caramel-y spirit notes throughout but the brandy is very subtle. Next we decided to try something of our own. Stone fruits are still in great shape but getting towards the end of their season, so we wanted to use them while we still have them. Since almost all of them play nicely with bourbon, bourbon it was. 2 oz bourbon. Use a good strong bourbon with red fruit notes – Four Roses is a good choice. We found that the spirit can get lost if it doesn’t have a lot of character. Muddle all the fruit with the simple syrup. Add the bourbon. Shake with ice. Strain into a wine goblet filled with crushed ice. Garnish with a lime wedge, a nectarine wedge and a cherry. Serve with a straw. Enjoy! Nose: Nectarine, cherry and lime very prominent. Little bit of bourbon. Palate: Sweet cherry and lime. Then bourbon. Finishes with the nectarine. They’d also be perfect accompaniments to a picnic or BBQ, so try a cobbler for a change-up the next time you are thinking that a sangria may be in order. Experiment with whatever’s your favorite of the fruits currently overflowing your local farmers market, and be rewarded with a delicious icy beverage tailored to your taste. 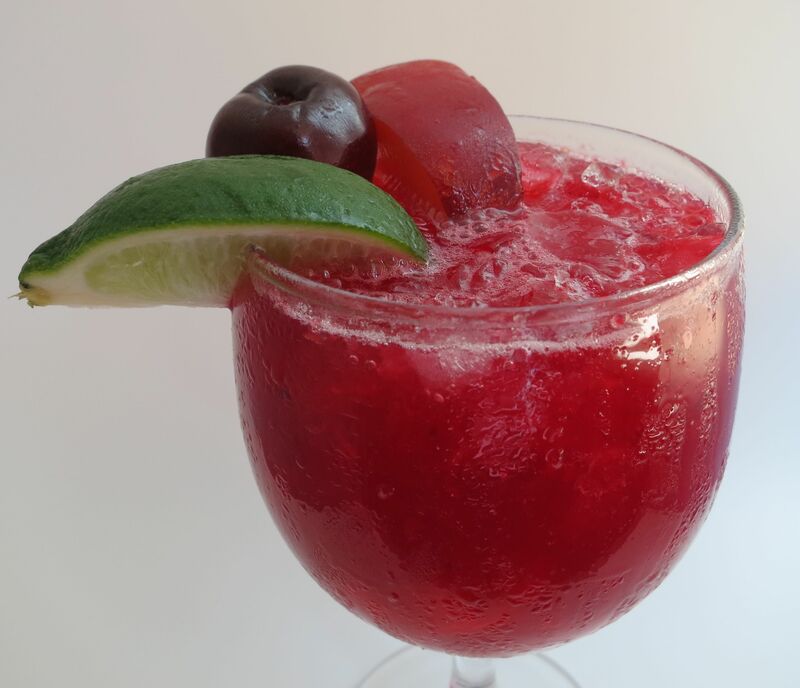 This entry was posted in bourbon, brandy and tagged brandy cobbler cocktail recipe, four roses small batch bourbon, Pierre Ferrand 1840 cognac, summertime cobbler cocktail recipe. Bookmark the permalink.